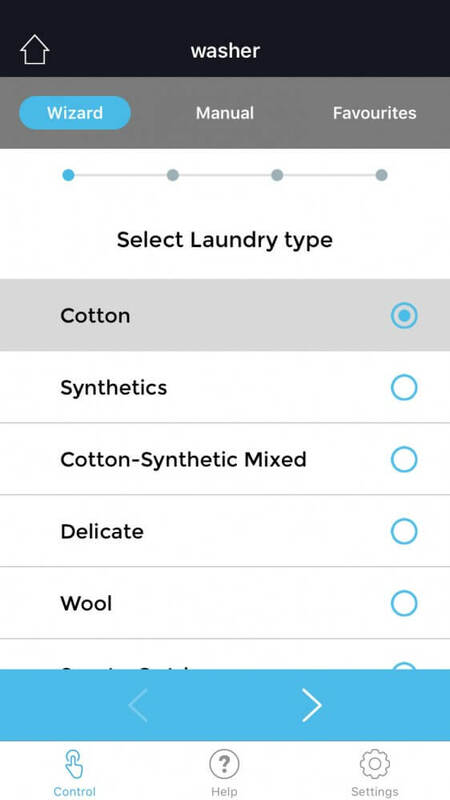 Take care of housework from the office with a smart washer and the HomeWhiz smart home app. Alex is an intelligent young man who is slowly but surely climbing the career ladder at the most environmentally-friendly company in Austria. Sustainability is also one of his passions outside of work and he does whatever he can to make his home as economical and energy-saving as possible. Alex is also really into sports. He is always on the go, spends a lot of time at the gym, and loves being spontaneous, taking spur-of-the-moment trips at the weekend. When he woke up this morning, he decided to go for a run before work. He didn’t let the bad weather stop him – on the contrary, he really enjoys running in the rain, even if his clothes get quite dirty from the mud. When he got home, he quickly threw his jogging clothes in the washing machine, added detergent and headed off for work. Thanks to the machine’s automatic detergent dispensing feature, he doesn’t have to worry about how much to add. His smart washer will take care of it for him. At work, Alex uses his HomeWhiz smart home app to select the right programme for his smart washer at home. The Wizard function asks him a few questions about the materials and how dirty the load is. Then he chooses an energy-saving, eco-friendly programme. The smart washer starts running at exactly the time he has selected. Because Alex is out and about so much, he loves his smart washer’s anti-wrinkle function. He can activate the washing machine’s spin cycle remotely before he gets home, meaning the laundry doesn’t sit in the drum too long and doesn’t get so wrinkled. Because there is no need for him to rush home to take his wash out of the machine, he can go on whatever adventure might call. Even though Alex is an independent young man, he still loves that his smart appliances make recommendations. This saves him time and hassle, and ensures that his smart devices are used efficiently. Tell the wizard what you want and it will suggest the three most suitable programmes to control your washing machine. Alex is a bright, eco-conscious 20-something who calls Vienna home. Saving energy and going green is very important to him, which is why he has also chosen to work in this field. He spends his free-time playing sports and meeting up with friends after work. They head to the cinema, go out for a beer, or plan their next hiking trip or outdoor adventure. Alex is always up for a spur-of-the-moment trip at the weekend. His smart appliances and the HomeWhiz smart phone app make it all possible. They take care of the housework whilst he is out doing what he loves most. Smart home technology makes life-work balance possible. Step-by-step instructions in the HomeWhiz smart home app save time and money – a handy Dane shows how it’s done.